Why See Steve Martin, Martin Short, and The Steep Canyon Rangers? 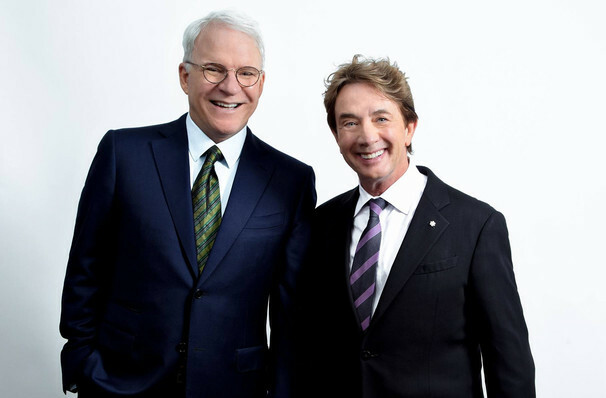 United not only by a shared name, but by a gift for humour that has afforded them a long-reigning career in the entertainment industry, Steve Martin and Martin Short are teaming up once again to deliver gut-busting laughs and rapid fire one-liners on tour. 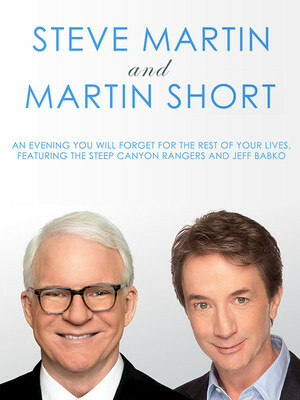 A unique variety show that fuses side-splitting schtick with steel strings and bluegrass, Steve Martin and Martin Short: An Evening You Will Forget for the Rest of Your Life is a powerhouse show you won't want to miss and will most likely remember for at least a week after viewing. Comprised of stand-up, sketches, film flips and musical numbers, the show is a free-flowing mash-up interlinked with relaxed conversation between the dynamic duo, giving audiences an insight into their storied career in show business. They'll be joined by Steve's Grammy-winning bluegrass outfit Steep Canyon Rangers for musical interludes that'll include foot-stomping tunes Pretty Little Thing and Me and Paul Revere. Sound good to you? Share this page on social media and let your friends know about Steve Martin, Martin Short, and The Steep Canyon Rangers at Salle Wilfrid Pelletier. Please note: All prices are listed in US Dollars (USD). The term Salle Wilfrid Pelletier and/or Steve Martin, Martin Short, and The Steep Canyon Rangers as well as all associated graphics, logos, and/or other trademarks, tradenames or copyrights are the property of the Salle Wilfrid Pelletier and/or Steve Martin, Martin Short, and The Steep Canyon Rangers and are used herein for factual descriptive purposes only. We are in no way associated with or authorized by the Salle Wilfrid Pelletier and/or Steve Martin, Martin Short, and The Steep Canyon Rangers and neither that entity nor any of its affiliates have licensed or endorsed us to sell tickets, goods and or services in conjunction with their events.